About | Citylights Property Group, Inc.
Citylights Property Group, Inc. is a family owned real estate company. Formerly Estate Properties (2009-16), Citylights Property Group, Inc. was founded by broker Juan M. Reyes and established in August of 2016. The company serves all aspects of your real estate needs from the buying or selling of residential and commercial real estate, property management, as well as the buying and selling of businesses. Juan M. Reyes has been in the real estate and management business for over 8 years. He is a military veteran who served in the U.S. Army as well as a retired law enforcement officer of 29 years. Upon retirement he decided to take up real estate which he had a passion for allowing him to become the responsible real estate broker that he is today. 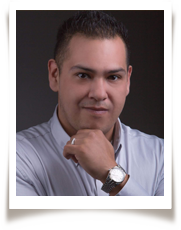 Juan David Reyes is a licensed real estate broker and property manager for Citylights Property Group, Inc. He successfully accomplished C.A.R. 's Property Management Master's Certification courses providing him with the ability to not only manage your single family residences, but to also manage, buy/sell, and value commercial real estate including apartment complexes and vacation rentals. Furthermore, having a keen interest for business, he continued his education with the California Association of Business Brokers allowing him to buy/sell businesses for clients regardless of whether or not the business owns the real estate it operates out of. He is able to review profit and loss statements, recast seller discretionary earnings statements, reconstruct balance sheets, as well as offer business valuations. He looks forward to providing his clients and residents with the best possible service, knowledge, and commitment available.